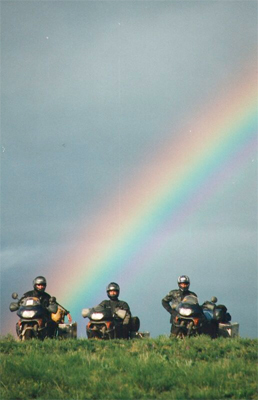 Mongolia is an outstanding bikers destination, a country blessed with pure air and an incredible clarity of colour, there simply isn’t anywhere else on earth quite like it. 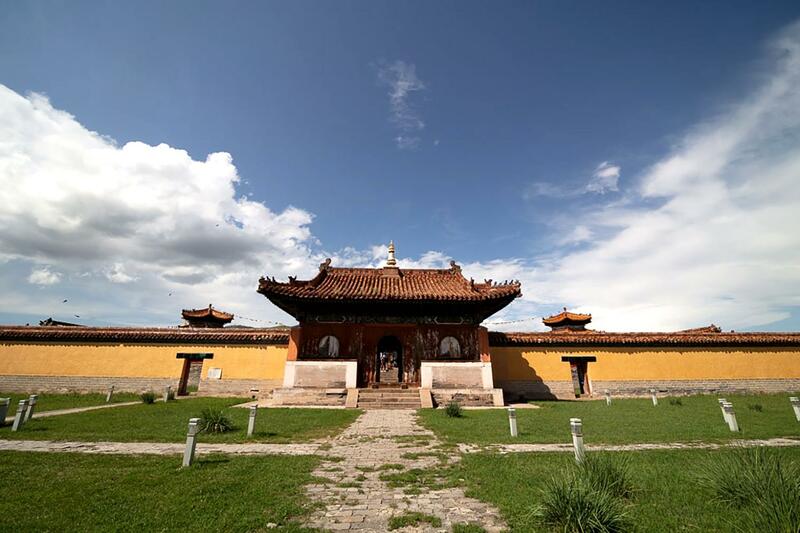 If endless grassy steppes dotted with brilliant white Gers, vast rugged landscapes populated with wild horses, camels and yaks, Buddhist monasteries virtually wiped out under Stalinist rule, a wonderful retreat from our hectic pace of life is your thing, then Mongolia is your destination. It’s hard to imagine that this remote part of the planet once created the largest land empire the world had ever seen under Ghenggis Khan. Join us as we ride the “largest paddock on earth”. 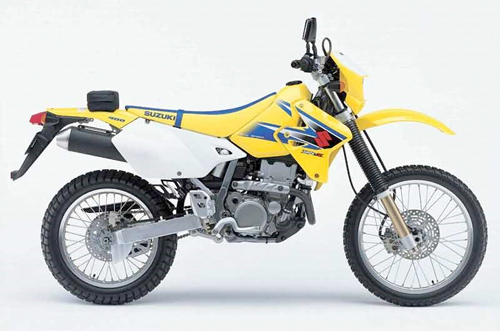 This tour can be ridden back to back with our Kyrgyzstan Explorer tour to extend your Central Asian adventure. Images courtesy of Ian Emmett. Joining Day: Your Ulaan Baatar airport transfer will take you directly to our joining hotel, ready for a mid morning start tomorrow. Today you will meet your crew for your tour briefing and welcome dinner. 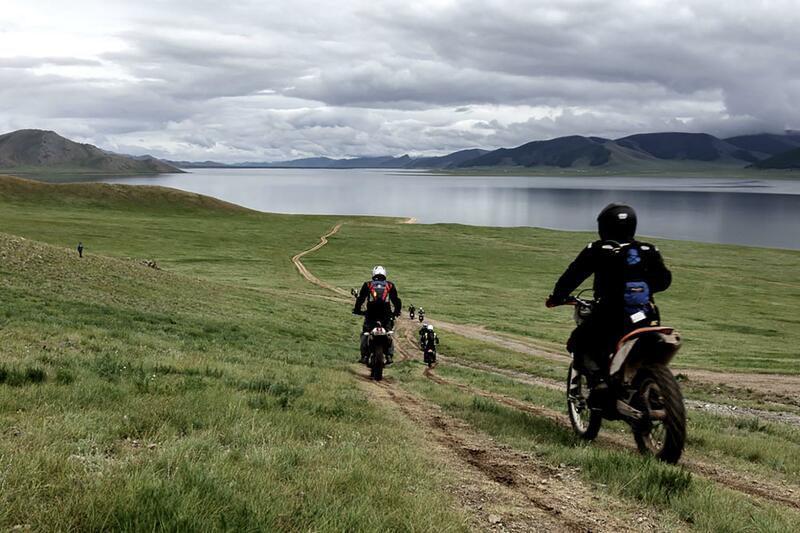 Day 1: A short ride today as we become accustomed to our bikes and riding in Mongolia. We visit one of the most stunning regions in Mongolia, the Gorkhi- Terelj National Park, a region of mountains, rivers and bizarre rock formations arriving early for lunch and a chance to explore the surrounding region in the afternoon. Day 3: A longer ride today as we head due north toward Russia and into the Selenge Aimag (province) through a vast unspoiled landscape of rolling green hills and distant valleys. We arrive at the gateway city of Darkhan for a night in another great hotel, our last for a few days. 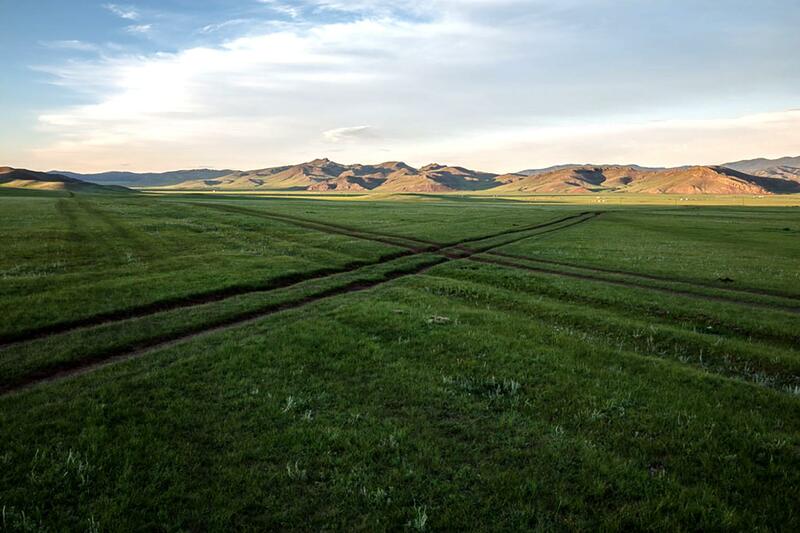 Day 4: Today we ride into an incredibly remote part of Mongolia, an utterly silent landscape dotted with Gers, yaks and wild horses, before hitting the dirt via a series of tracks that roughly follow the Selenge River. We visit the Amarsbaysagalant Monastery where we have our first ger camp experience under an impossibly star laden sky. 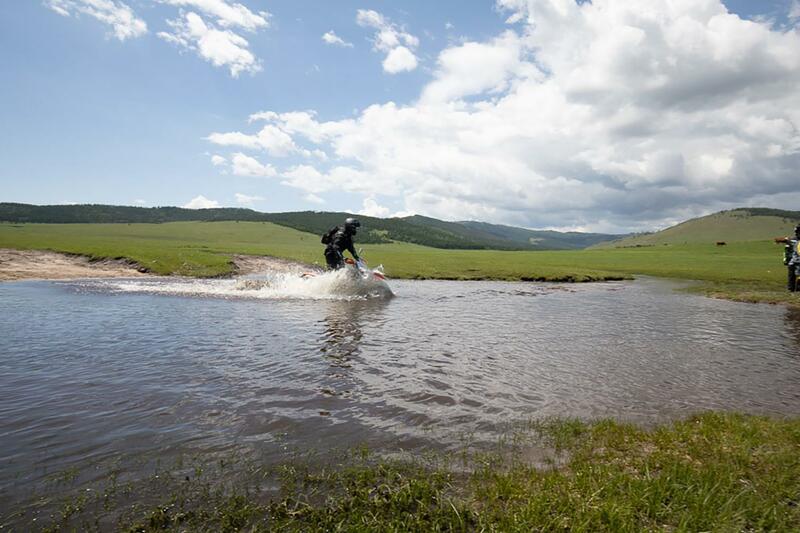 Day 5: Today will offer some of the finest riding as we ride across the vast Mongolian Steppes and yawning valleys of green, bordered by distant mountains. Another wonderful ger camp experience. Day 8: A short ride today as we head back to Moron and hit the dirt again as we ride 16 km south on a barely discernible track to a spectacularly located ger Camp set at the foot of a mountain. 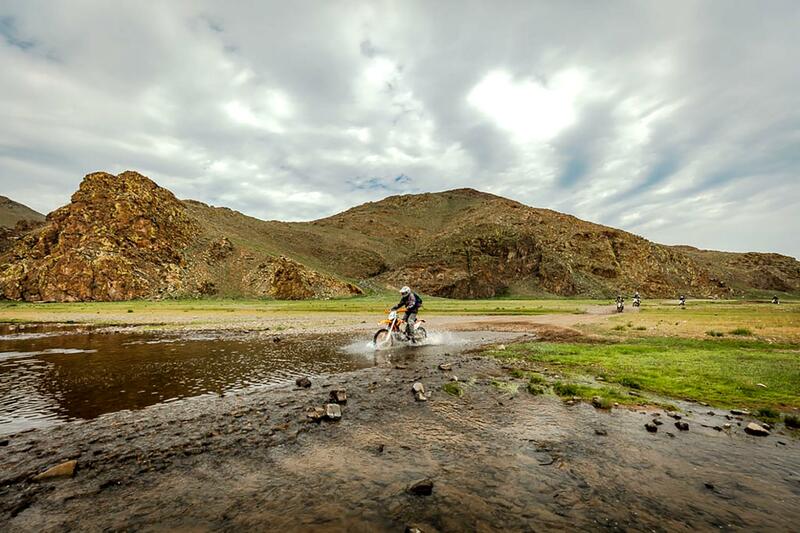 Day 9: Leaving the hospitality of the ger camp behind we continue due south into the most remote regions of the entire ride, crossing into the Arkhangai Aimag all on dirt. 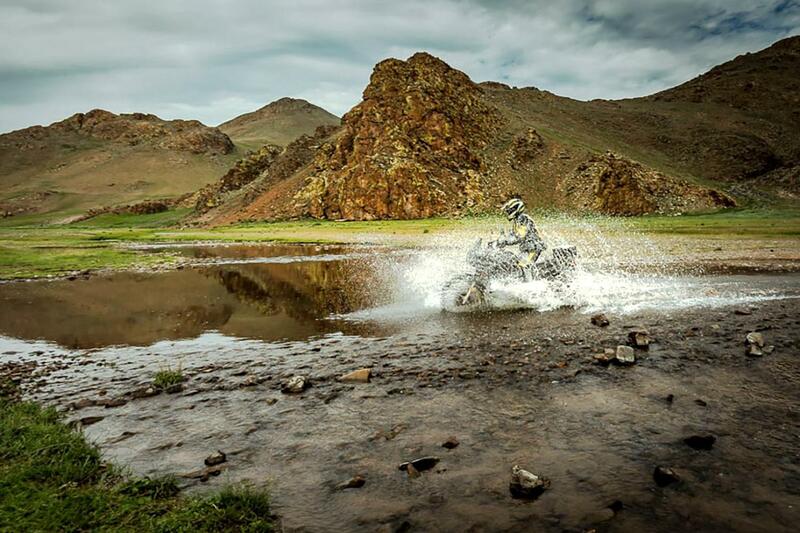 The scenery is breathtaking, riding spectacular & the silence stunning. Day 10 & 11: Definitely the most challenging riding day today as we venture further into remote Mongolia; this is a region rarely visited, it is a region of mountain passes, epic Mongolian Steppe, pure air and a wonderful clarity of colours. 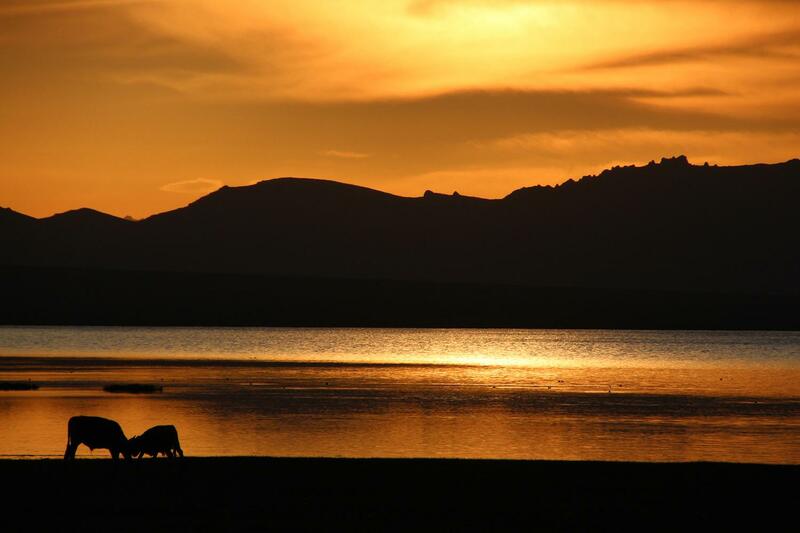 We arrive at one of Mongolia’s highlights Khorgo–Terkhiin Tsagaan Nuur or Great White Lake where we spend two nights allowing us time to soak in this idyllic landscape. Day 12: Today we ride through a landscape of volcanic craters and lava fields with occasional herds of grazing yaks to keep us alert. After so many days spent in superb wilderness it is somewhat of a shock to stay at a town again, but a stay at the Australian owned and run Fairfield Guesthouse is a must. Day 13: We hit the pavement today but its smoother on the dirt beside the road; the landscape remains beautiful and we will visit the former capital of Kharkhorin, founded by Chenggis Khan in the mid 13th Century. Day 14: Our final day on the bikes will see us leaving the ancient capital on narrow paved roads that progressively become busier, at least the roads seem busy compared to the last two weeks of empty track riding! 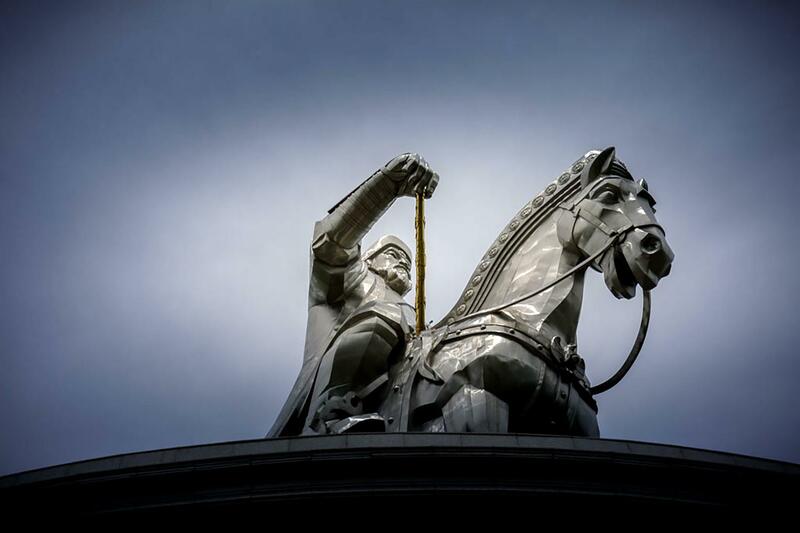 We shall arrive into the capital of Ulaan Baatar mid afternoon. 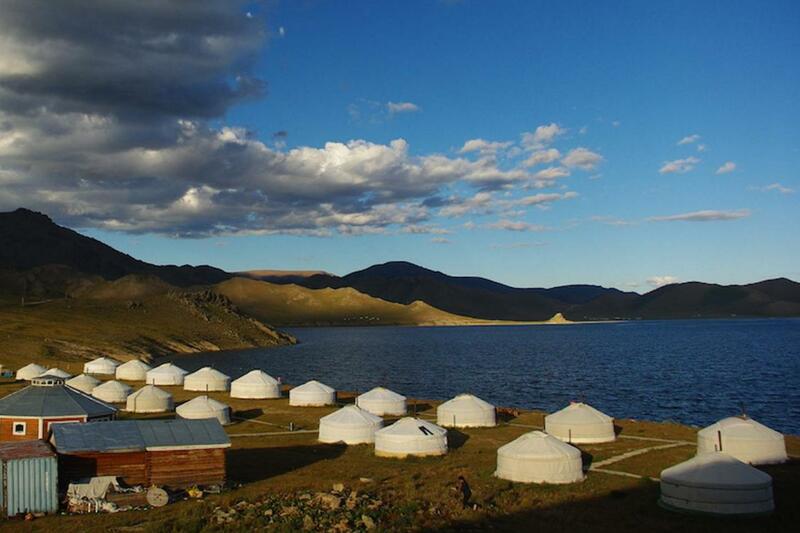 Departure day: Spend some time in Ulaan Baatar or fly home, its up to you. 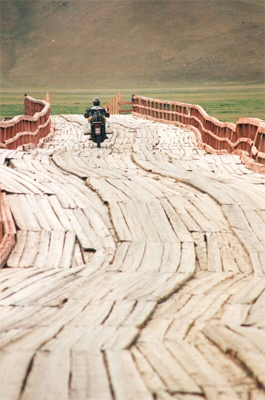 40% of this ride is off road; Mongolia has an ever shifting network of dirt tracks that cross open pasture lands, valleys & mountain passes. These tracks can have deep potholes, washouts and rocks. They can become slippery if wet. On a small number of occasions we will cross creeks and shallow rivers with muddy entrance and exit points. 60% of this ride is on paved road, however on some paved roads we are better off riding on the dirt!! 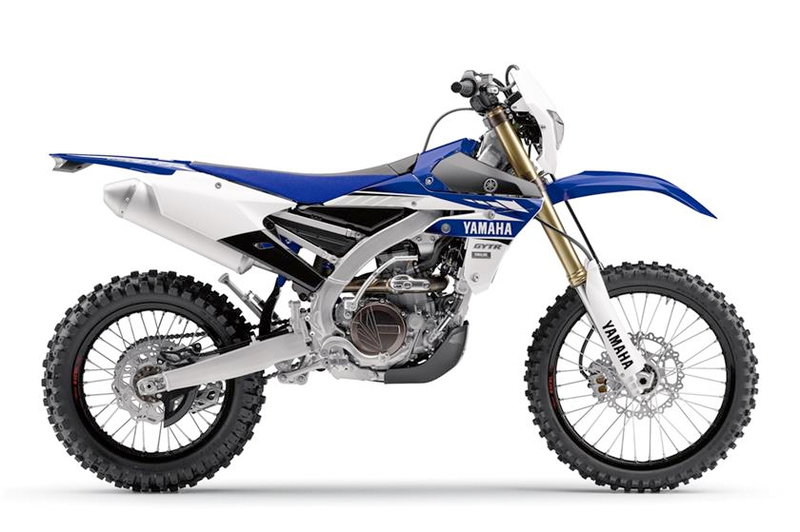 Expect huge potholes, tall shoulders and bad cambers. Some roads are, however, brand new and almost all are empty. 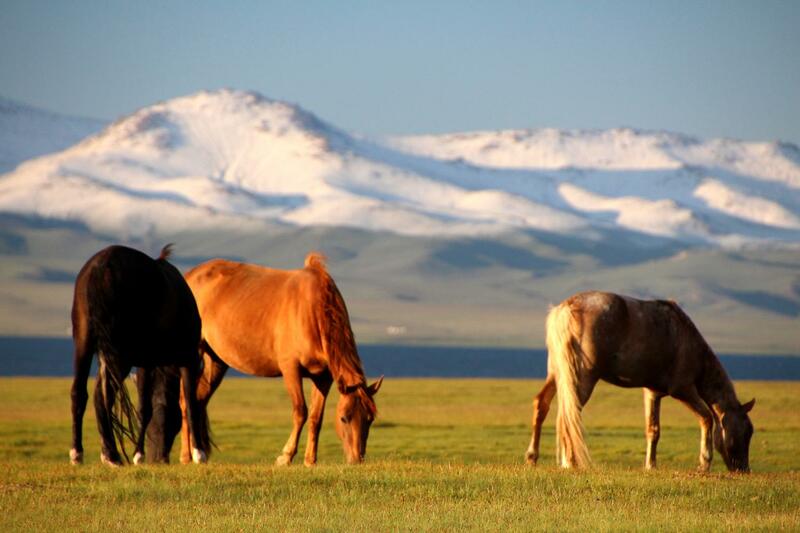 We visit Mongolia is in the summer from June to August when the average minimum is around 12°C (54°F) and the average maximum is around 26°C (80°F). Mongolia has 260 days of sunshine per year however afternoon thunderstorms are not uncommon. Around Khovsgol Nuur colder daytime temperatures can also be expected dipping to 0 Celsius overnight. 15 nights of accommodation: 7 nights in 3 to 4 star hotels, 8 nights in established ger camps. A flexible attitude is needed, as services in these extremely remote regions of Central Asia will NOT be what you are accustomed to. A note on ger camps; our ger camps are pre-erected traditional carpet floored & felt lined tents that are very large, each one with a log fire as the centrepeice. Each tent has has a number of beds with mattresses, pillows & linen. Seat height 86.5cm (35.2") Approx. Seat height 93.5cm (36.8") Approx. Seat height 96.5cm (38") Approx. 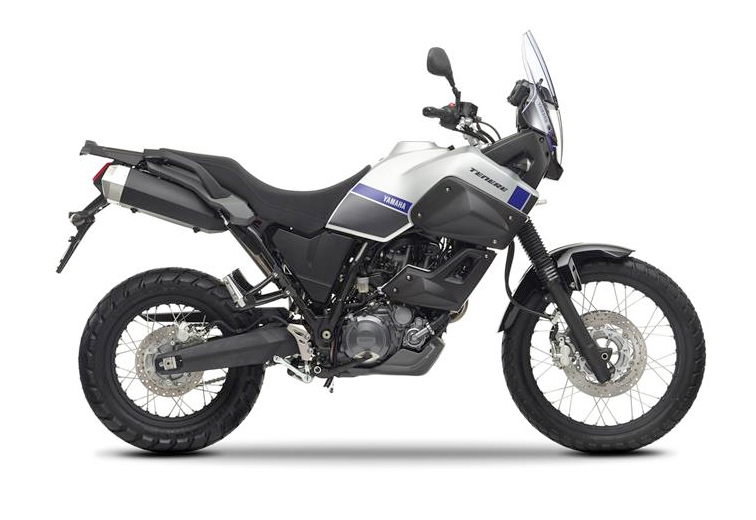 Central and South East Asia are such a fantastic destinations for motorcycling but there is so much more on offer than fantastic roads and exceptional vistas. Use the form below to let us know how we can assist in extending or enhancing your Asian adventure. I had (we had) a fantastic time. The scenery, the people, the accommodation and the tour itself were all above my expectations. Mick and Veronica did a great job managing the trip despite some challenges along the way. Already started saving for the next trip. Since returning from Mongolia Magic this year the word Mongolia triggers a background picture - blue skies, green grass, white gers. Then the 'mind video' rolls. What a wonderful trip it was. Of course, being on the bike for 14 days was great but to be able to ride at our own pace, to have a very capable support crew to fix flat tyres etc, wonderful picnic lunches (delicious and nutritional). 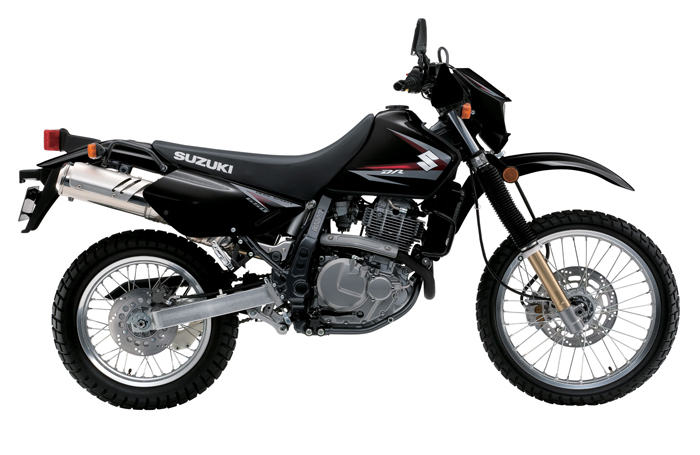 I vividly recall sitting on the green grass in a vast valley, the aroma of the herbs in the air, watching the flock of sheep or goats slowly drifting along nearby, and the herder on his little Chinese 150cc bike giving us a wave and a smile. Then tucking into lovely fresh vegetables, cheese, cold meat, juice etc then laying down in the shade of the bike for a snooze before heading off again. Thankyou Mick for your leadership. The trip was very well organised. We were well informed about each day's riding, safety was paramount, the accommodation was terrific, (the ger camps being a highlight for me). The group as a whole was supportive of the others (big cheer when we made it across a difficult creek and a helping hand if we lay down in it...), enough breaks to get the helmet off and take in the scenery, explore a cultural site or get up close to the locals in a little town or village. I could go on but the best way is 'to go on a bike' with Compass. Just magic! 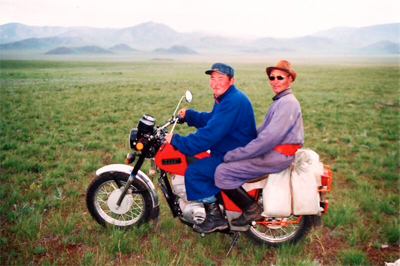 If you have completed our Magical Mongolia tour we would love to here your feedback. Please email info@compassexpeditions.com to let us know what you thought of the adventure.